Serving Atlanta, Covington, Lawrenceville, Lilburn & Any City Within 30 Miles. Get A Tow Starting @ just $65. Call Now For Immediate Service! Our prices are based on location so just give us a dial!! Take your vehicle from point A to point B, anywhere in the Atlanta area. Anything a wrecker can do, we can do better, Let us know how we can help! Car locked out, don't break the window, we got you covered. Here's a List Of Our Services !! Towing is when two or more objects are liked,combined, or attached together in a way that is secure for long travel and strong tensions. Towing can be applied on land vehicles, water, aircraft, and pretty much anything that needs the force of a pull or push to be moved. To perform a tow, vehicles are combined together by the use of gravity and or a chain, hook, straps, and locks. Rapid Fast 24 Hour Towing Service knows that each tow is unique and requires different safety priocedures. There are numerous considerations and safety procedures that must be followed to perform a safe towing service. At Interstate Roadside Assistance , we know the physics behind what happens with force and weight when speed is applied to them. It is incredibly dangerous to perform a towing service without the correct equipment and knowledge on hot to do so. The United States National Highway Traffic Safety Association states that more than 70,000 crashes a year are due to vehicle towing accidents. Tilt overs, unhitches, roll backs, and improper weight distribution, are uncanny situations that everyone should avoid. Our professional services will do it right, every time, safety is priority. Towing services are rising in demand as time, wear, and the natural environment eats away at vehicle life. Expect Service to be open all day, every day, to assist vehicles in any roadside situation. You could try and fix your own vehicle, however, how much time, knowledge and patience do you have? Don’t make it a hassle; let us take care of your towing needs. 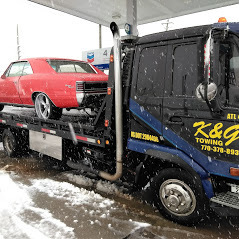 Don’t leave it up to a stranger and waste your time and resources; let a professional handle the situation.​ Atlanta Towing and Recovery Service is pleased to offer you a prompt service. We really hope it doesn’t, but when the situation arises for a jumpstart service. We hope you count on us to help. When and if it does, we will be here. We advise that you not try to get into your vehicle on your own, unless you have a good reason (kid inside-animals-Etc.). If so, break the window furthest away from life.